Security labels are used to protect product or item from getting altered, unpacked, theft, and malicious modification. These security labels prevent confidential information from getting leaked. 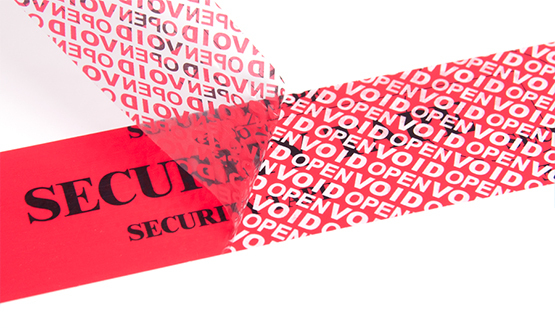 Security labels are witnessing high demand in manufacturing and beverage industry. The global security labels market is driven by factors such as strong growth in the food & beverage industry and rising demand in consumer durables, retail, and pharmaceutical supply industries. Security labels are used to provide authentic protection to merchandise. At the time of receipt when boxes are unpacked, merchandise contain appropriate accession security labels. The global security labels market is consists of North America, Europe, Asia Pacific, and Rest of the World (RoW). The Asia Pacific region dominates the global security labels market on account of rapid growth in the retail industry. As the retail industry increases, the demand for the security labels increases mainly due to the rising the incidence of theft in the retail industry. Growing manufacturing activities such as consumer good, also have the positive influence on ther growth of the market. As disposable income increases, the purchase power of the consumer increases which creating a huge opportunity to the global security labels market. China, Indonesia, India, and Japan are the crucial contributor to Asia Pacific market. China accounts for the largest share of the regional market due to the largest demand from the food & beverage, and good consumer industry. In case of pharmaceuticals, safe labeling is of highest importance. As conventional labeling is less durable, it can mislead the patient and might be dangerous. In 2016, the North America pharmaceutical industry generated around US$ 450 billion. This exhibits that the demand for pharmaceutical drugs is expected to increase during the forecast period. Pharmaceutical industry being one of the major end use industry, the value for global security labels market is also expected to increase during the forecast period. Some of the top market players are 3M Company, Honeywell International Inc., UPM Raflatac Ltd, Avery Dennison Corporation, CCL Industries Inc., Tesa SE, Security Labels International, Group DC, Colour Data UK Ltd,., etc.